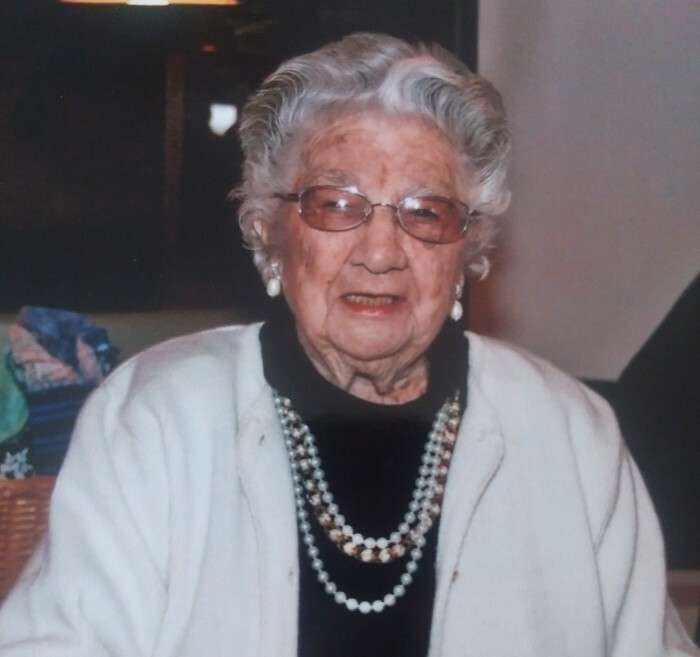 Alice M. (Lepore) Kavanaugh, 98, of Southborough passed away at home peacefully surrounded by family, on Tuesday, June 12, 2018. She was the wife of the late Lee F. Kavanaugh, who died in 1995. Alice was a 1937 graduate of Marlborough High School and worked for New England Telephone for over 50 years. After she retired she worked for the Southborough Senior Center as an administrative assistant and all around helper. Alice was very active and enjoyed many thing among them was singing and sang with a variety of singing groups, such as Southborough Senior Songsters. Alice was a very talented artist, and won 2nd place for her painting and it was published in the Southborough Town Warrant. She was a member of St Anne Church of Southborough and NET Pioneers. With the many things Alice was involved in, her greatest joy was spending time with her family. She is survived by her children, Betty Peak of Southborough; Lee Kavanaugh and his wife Sandra of Pelham, NH; Jack Kavanaugh and his wife Barbara of Nova Scotia, Canada; Susan Kavanaugh of Southborough; her grandchildren, David Peak and Kristin Herther; Christine Blanchard and her husband Mark and Andrew Kavanaugh; Brandon Kassbaum and his wife Kelsey and Suzanne Kavanaugh-Kelly and her husband Ben; her great grandchildren, Kevin Murray, Caitlin Mattson, and Ziggy Peak; many nieces and nephews; and Hunny, the best dog she ever had. She was predeceased by her granddaughter Dawn Mattson. Alice was the last of her family and is also predeceased by her siblings, Paul, Mickie, Fred, William, Dr. John, Henry, Robert Lepore, Mary Burdick, Deena Bourgeois, and Rita Mitchell. The family would like to thank Julia Barros and the Metro West Hospice for the kind and loving care they gave to Alice. Visiting hours will be held on Friday, June 15, from 4 to 7pm at Morris Funeral Home, 40 Main Street, Southborough. A funeral Mass will be held on Saturday, June 16, at 10 AM at St. Anne Church, 20 Boston Road, Southborough. Burial will be in the Southborough Rural Cemetery. Memorial contributions may be sent in her memory to Friends of the Southborough Senior Citizens, 9 Cordaville Road, Southborough, MA 01772.